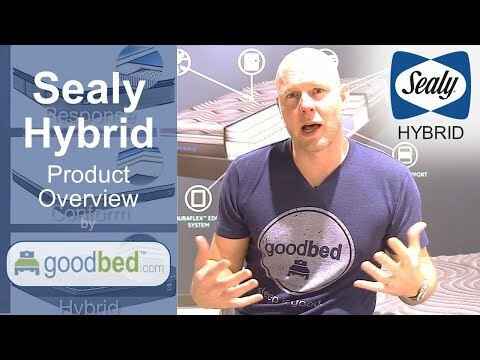 Is Hybrid the right bed for you? The Sealy Hybrid line is recommended by 54% of owners on GoodBed (based on 79 ratings). Do you have a Sealy Hybrid mattress? Write a Review! 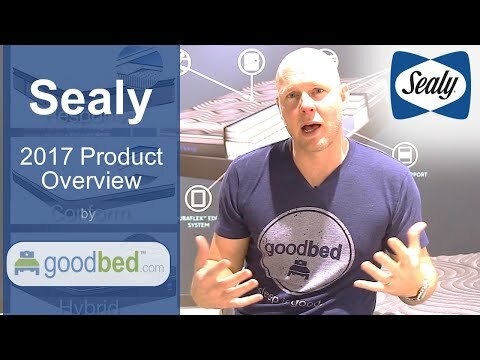 There are 79 ratings on GoodBed for Sealy Hybrid, but no reviews yet. Be the first. Mattress Thickness: 13" to 14.50"
Note: The product line specifications above were derived from the active Sealy Hybrid models listed on GoodBed. As a result, these details may not be comprehensive and may not apply to all Sealy Hybrid models. If you are seeking specifications for a particular Sealy Hybrid mattress, please search for that mattress by name on GoodBed, or check with your local Sealy Hybrid dealer. The Hybrid product line is a collection of mattresses released in 2017 that is manufactured by Sealy. Have an update or correction to our information about Sealy Hybrid? If so, please take a moment to suggest an edit.